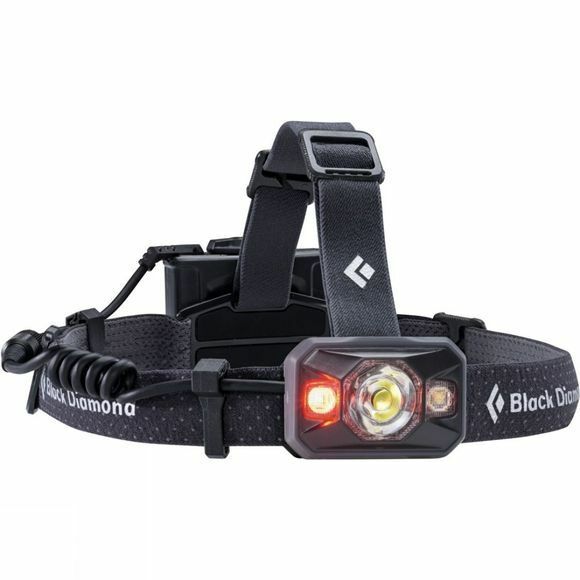 The Icon Headtorch from Black Diamond is one of their most powerful headtorches that has been designed for professionals and adventurers who demand high-output lighting. It offers a range of lighting options including the full strength 500lumens for both proximity and distance, dimming, strobe, red/green or blue night vision modes and a lock mode to ensure you don't accidentally waste the battery life when its not in use. The battery pack is removable and a carrier sling and longer cable is included for those who would prefer to carry the battery on their body rather than their head and the whole thing is protected against dust and water ingress so you can rely on it in the most difficult conditions.